If you are selling your home, you’ll want to do everything you can to ensure you get the best possible price, but being a pet owner may affect this. With the inevitable smells, pet hair and scratches, home owners could expect to receive offers as much as 5% below the asking price, according to Moneywise, purely down to having pets. So why do prospective buyers find pets so off-putting? As a pet lover, it can be hard to imagine that not everyone feels the same, but some people are nervous of animals or just not keen for a variety of reasons. These coupled with litter tray smells or chewed woodwork can give the impression that your property will ‘need work’ resulting in lower offers. First impressions are never more important than when selling home. 43% of us in the UK have a pet but that also means that 57% of us don’t. To get a successful sale you need to get people to visualise living in your home. Non pet lovers may find this difficult, particularly if it’s VERY evident that a pet is in residence. By removing pet bowls, toys and cages, buyers will find it much easier to picture living in the property. These should be removed prior to any viewing if possible, if not, make sure they are scrupulously clean to avoid putting off potential buyers. 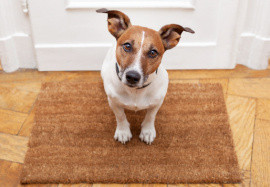 Pet stains on floors and carpets will not only cause odours in your property, they will also give the impression that your home has not been cared for. This may mean getting in professionals to remove any stains. If this is not possible, it may be necessary to remove and replace the flooring. It may have become unnoticeable to you, but having a pet will gradually cause skirting boards, floors, windows, favourite corners and doorframes to become grubby. Buyers always notice the details and these sorts of very small considerations could be off putting – even to other pet lovers. According to a recent survey by GoCompare, 61% of buyers said bad smells in a property were a deal breaker! It might be worth investing in a professional clean before your property goes on the market. Scratches, chew marks and any other pet damage will definitely be put off potential buyers. Make sure all damage has been repaired, replaced or re-painted. It is also worth pointing out not to forget about the outside of your property, to a buyer the outside will be just as important as the inside. Replace any damaged plants and fencing as well as filling any holes. Making sure your gardens, front and back, are free from pet mess and paraphernalia will ensure maximum curb appeal. 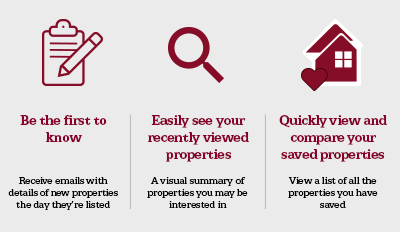 For the best possible advice on how to present your property for sale regardless of whether you have pets or not, get in touch with one of our local offices in your area.